Emerging insights in the realm of sleep are shaping new understandings of neurological diseases. Sleep medicine has not consistently been in a close relationship to neurological specialties, occupying instead something of a niche role in the field. That’s because sleep medicine integrates the expertise of many different fields. Continued research, however, has revealed that sleep is inextricably tied to neurological disease, serving as both a measure and a moderator of neurological function. In fact, according to Logan Schneider, MD, Chair of the American Academy of Neurology’s sleep section, no neurology education is complete without a focus on sleep. “A basic understanding of the mechanisms of sleep and wake can help to elucidate the pathophysiology of a number of neurologic disorders and their symptomatic impact,” says Dr. Schneider. These discoveries are challenging empirically established conventions and may transform sleep medicine and offer new insights into the larger neurological spectrum, according to Dr. Schneider. “Sleep disorders offer a lens through which we can better understand neurological disease and the impact of healthy sleep on neurologic function. This neurologic ‘black box’ of sleep is just starting to be deciphered, revealing new insights into our understanding of neurologic diseases,” he says. Moreover, when the functional reserve of the brain deteriorates, sleep’s powerful influence on health becomes even more apparent, he says, which is most evident when sleep/wake disruptions in elderly inpatient populations induce delirium. “With stroke incidence peaking in the early morning hours and certain seizure subtypes occurring predominantly at night, the role of our body’s internal clock becomes readily apparent.” Dr. Schneider points out that there are countless examples of how addressing the quality and quantity of sleep can impact the lives of patients, such as morning headaches precipitated by a number of sleep-related factors, white matter disease burden correlating with obstructive sleep apnea, and impaired amyloid clearance during states of sleep deprivation, which may have implications for those with cognitive impairment. • When cases require expertise beyond first-line therapies, consultation with a sleep specialist may be appropriate. • Talk to patients about the possibility of sleep disorders. To become better familiarized with diagnostic and management strategies, consult the AAN’s sleep resources and courses. Despite the significant advancements regarding sleep disorders and the role of sleep in neurologic disease, Dr. Schneider admits that sleep remains a mystery in many ways, pointing to the lack of explanations science has given for why we sleep. “Each state of being—from wake to NREM to REM—serves different functions, and it is time to return our focus to the brain as we move forward in further developing our understanding of sleep,” says Dr. Schneider. “We must incorporate more than just respiratory analysis from our polysomnograms and implement more sophisticated analyses for disease characterization, thus striving for greater granularity. With a more nuanced understanding, he observes, sleep has the potential to provide the neurologic community with more robust treatment options, and even opportunities for preventive medicine. But most importantly, he notes, “Now that we recognize the impact that poor sleep can have on neurologic disease, simply being aware of this association is of utmost importance for better treatment, and thus better quality of life for all patients. 1. Excessive sleepiness, which is “best defined by falling asleep at inappropriate times or sleeping too much, which often points to an underlying sleep disorder,” says Dr. Schneider. The Epworth Sleepiness Scale is a good way to screen for this, with a score of greater than 10 being abnormally sleepy. 2. Insomnia, which is “most often assessed by the patient spending more than 30 minutes getting to sleep, or awake after falling asleep,” and is usually screened for by asking the patient directly. 3. Sleep-disordered breathing, which is most often picked by complaints of the bed partner (snoring and pauses in breathing), according to Dr. Schneider. The STOP-Bang questionnaire uses subjective reports and simple data points (e.g., BMI), to effectively screen for the most common form: obstructive sleep apnea. 5.Parasomnias, which range from sleep walking to REM behavior disorder, and often require a detailed clinical history to tease out the specifics. However, Dr. Schneider notes, simply asking about abnormal sleep behaviors is the primary way to screen for them. From the standpoint of management, Dr. Schneider believes that neurologists are adequately equipped for caring for patients with sleep disorders. “While having access to a quality sleep lab often provides the essential substrate for the confirmation of a diagnosis in many cases of sleep disorders, much of the diagnostic workup is performed through a careful history and physical examination,” he observes. “Once the diagnosis has been established, treatment and continuing management require a commitment to keeping up with the literature and staying current on the relatively modest number of treatment considerations in each of the primary domains of sleep disorders.” That being said, he suggests that when cases require expertise beyond first-line therapies or necessitate a broader referral network (e.g. cognitive-behavioral therapy for insomnia or hypnosis for parasomnias), then consultation with a sleep specialist may be more appropriate. Given the increasing importance of sleep science in the field of neurology, however, it is incumbent upon neurologists to emphasize sleep in their practices. In addition to staying up to date with the literature, another avenue for neurologists to better engage sleep medicine is through the AAN’s sleep section. “One pillar of the strategic vision for the AAN’s Sleep Medicine Section is to improve awareness of sleep and sleep disorders through education,” says Dr. Schneider. “We have progressively added to the educational offerings through AAN resources such as Dr. Charlene Gamaldo’s ‘Sleep and the Practicing Neurologist: Mechanisms and Management,’ and Dr. Alon Avidan’s ‘REM Sleep Behavior Disorder NeuroLearn courses’,” he continues. (Both courses are available at www.tool.aan.com.) 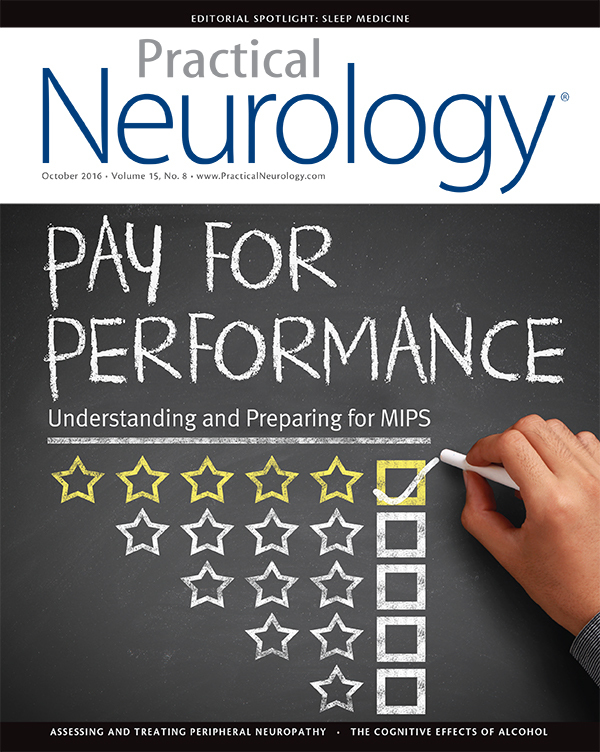 Planning for further course offerings and resources for practicing neurologists is underway, with a goal of integrating them into the maintenance of certification requirements. 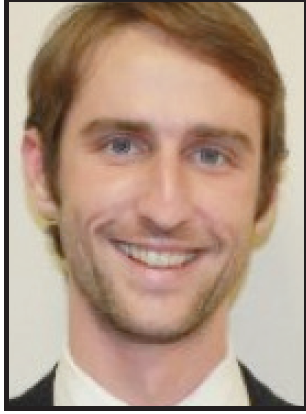 Logan Schneider, MD is a Clinical Instructor of Psychiatry And Behavioral Sciences at the Stanford Center For Sleep Sciences And Medicine. Given the relatively small number of neuro-ophthalmology specialists in the US, it is incumbent upon neurologists to diagnose and manage IIH. With the majority of seizure emergencies occurring outside a medical setting, there is a great need for effective pre-hospital therapies that absorb fast and administer easily. Empowering patients to make lifestyle changes plays an essential role in managing peripheral neuropathy.